A pioneer in uncovering the secrets of life, internationally recognized spiritual hypnotherapist Dr. Michael Newton takes you once again into the heart of the spirit world. His groundbreaking research was first published in the bestselling Journey of Souls, the definitive study on the afterlife. Now, in Destiny of Souls, the saga continues with 70 case histories of real people who were regressed into their lives between lives. Dr. Newton answers the requests of the thousands of readers of the first book who wanted more details about various aspects of life on the other side. Destiny of Souls is also designed for the enjoyment of first-time readers who haven't read Journey of Souls. In Destiny of Souls, 67 people just like you recall their life between lives through Dr. Newton's personal work in spiritual hypnotherapy. 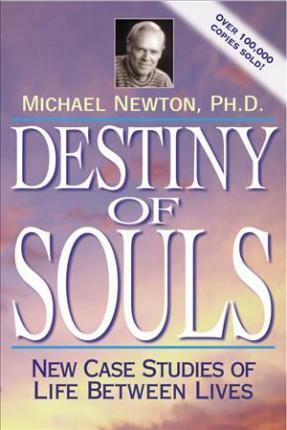 Based on his groundbreaking research into the afterlife, this book is designed both for first-time venturers into the subject and for readers of Dr. Newton's best-selling first volume, Journey of Souls. Dr. Newton is the author of three best-selling books, Journey of Souls: Case Studies of Life Between Lives (Llewellyn, 1994), Destiny of Souls: New Case Studies of Life Between Lives (Llewellyn, May 2000), and Life Between Lives: Hypnotherapy for Spiritual Regression (Llewellyn, 2004). Dr. Newton has an international reputation as a spiritual regressionist who has mapped out much of our life between lives experience. He has appeared on numerous national radio and TV talk shows to explain our immortal life in the spirit world.